Moonlight Scandal is a book I have been looking forward to ever since the first book Moonlight Sins and man I swear this book exceeded my expectations. I just LOVED this hero and boy he is such a bad boy at times but a good one as well. I wasn’t sure quite what I was expecting but the plot twists in this book is guaranteed to blow you away and reveal some truths you never see coming. I am in awe of this author’s talent and I am crossing my fingers there is a book four!! Moonlight Scandals begins with seeing our heroine visiting a cemetery. Rosie Herpin is a widow and she has yet to be ready to really let her late husband go. Rosie still mourns him and bears guilt on not knowing why he committed suicide when she thought everything was happy and good between them. Rosie is dedicated, she has three degrees, works for a ghost investigation company and helps with her parent’s shop. She believes in spirits and her personality is full of spice and flavor. Then while in the cemetery, she sees a man that is Devlin de Vincent, and offers a kind gesture to him. Later she runs into him when visiting her friend Nikki who turns out to be a jerk but there is a connection between them. You saw the worst of me. You saw the best of me, and you’ve seen part of me that no one else has. Moonlight Scandals is a story that is full of twists and turns and boy I had a fun time with many of the plot developments that we see in this book and Armentrout has delivered another book that packs quite a punch and I loved every moment of it!! Its definitely not a story for the faint of heart though, it full of dark secrets and circumstances and so if you don’t like gothic themes, ghosts or a bit of intrigue this book isn’t for you….but if you like these qualities in a story, GRAB IT UP and don’t look back because I can guarantee that you will fall in love with this story. Now at first the romance between Rosie and Devlin is full of angst because these two just do not GET along at least at first. 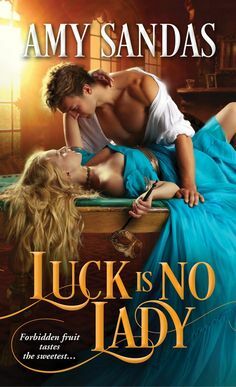 This is definitely an enemy to lovers story but there is some powerful chemistry between them and we have plenty of angry kisses that are exchanged and those are some of my favorite scenes in this story. I simply loved seeing these two banter and seeing their emotions unravel in such a unique way. We see how full of anger and mistrust Devlin has and he really humbles himself before Rosie (which he hasn’t done for anyone) he knows each time he lashes out that he has wronged Rosie and he wants her to forgive him and thankfully Rosie has such an open heart and always willing to forgive Devlin because she sees so much worth in Devlin and wants to open him to it. She sees the good protective man he is and I loved how she never gives up on Devlin even when is a jerk at times. From beginning to end this story wrap you up in a blanket and gives you ALL the feels you need to feel satisfied in a romance. Its a tale of mysteries, sensual embraces and will magnetize your emotions!! TRULY A SHELF KEEPER! !